When you decide the time is right for a puppy to come into your life, you should really think long and hard and do some research before you take that big step. When people buy a new car, on average people keep the new car until its 4 – 6 years old, or there abouts. Now, consider how much research, test drives etc. you do before buying a car. One of the most common reasons dogs develop behaviour problems is that they are living in an unnatural state for their temperament. This may be also described as not genetically sound, but sometimes they are genetically sound, but they are a bad fit for this home. This happens a LOT with German Shepherds. Look at our YouTube Channel, we have hundreds of videos on Aggressive Dog Rehab, you will see many featuring German Shepherds. This is not because they are a dangerous breed of dog, this is because they need quality training and education from 8 weeks of age. They need an owner to realise their potential and channel that into good behaviours. When you go to a puppy class that is a free for all play session (see this article), run by a person with little to no experience with the breed, your German Shepherd will likely learn that chasing other puppies like they are Prey is great fun, and it does not take long to form this as a habit, because these sessions are “super reinforcing”. We have had dozens of puppy owners come to see us with their German Shepherd puppy, they had been told that this puppy has an unnatural amount of aggression. Some had been told to medicate, others euthanise. The puppy was a totally normal German Shepherd in our testing, but it did have some unchanneled prey drive and was fixated on chasing and biting other puppies. Being held back on a leash caused the puppy to scream in frustration. I cringe when I think of the pups that were drugged or killed due to the instructor not being A: experienced with the breed and B: not knowing when they are out of their depth and or referring on. People that might be looking for a pet dog and choose a working breed, such as German Shepherd, Rottweiler, Malinois, Border Collie, Kelpie or any of the gun dogs, (not that I am suggesting these breeds have all the same traits) may have increased levels of prey drive over the average pet dog owner’s needs. This will see the dog look for ways to satisfy this drive to become balanced. This is great if you wish to have the dog move your flock of sheep around, or you have goals in training a dog sport or similar, or maybe even if you want to learn how to reward your dog with balls and tugs, but if you don’t have outlets such as these, you will likely see this dog find outlets of his or her own, and chances are, you won’t like them. I know some will say that your Grandfather had a Border Collie that was fine as a pet, but let’s understand a few important details. The first is that I have never seen two dogs of any breed exactly the same. I have certainly seen common traits in breeds but no two identical due to the ways they were raised, experiences they had etc. The second is that when your Grandfather was raising his Border puppy, I can bet you that the training methods then were a little more forceful than now, and this element of the relationship probably supressed the puppies drive somewhat. So hopefully I have spiked your interest and encouraged you to invest some research into your next puppy. Ten common mistakes that will likely mean you will need behavioural help with your dog. Choosing a breed based on looks, colour or coat will likely mean you will not be focussing on temperament. Temperament = behaviour. Having no plan. Most people when getting a puppy may have some short term plans (toilet training) and long term plans (maybe “a good dog”) but these are so vague it would take a lot of luck to achieve these goals. 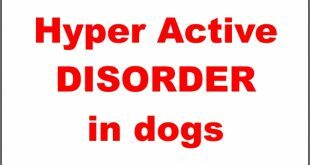 A large percentage of our work here is reactive, this means that the dogs we see already have developed behaviour problems, many to the extreme level before owners sought help. If you see your dog displaying any questionable behaviour, get help right away. Do not let the problem develop. 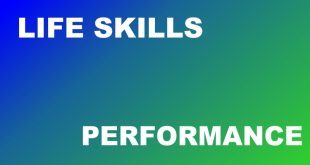 Dogs need education to turn into “good dogs”, before getting a puppy, get a training plan in place with a trainer that can demonstrate previous success. No management. Letting pups live with other dogs freely running wild will not develop a well behaved dog. Puppies need to have some time apart from your other dogs and on their own to develop an identity of their own and some independance. Planning to start training when puppy is 6 months of age. Puppies are learning from the time they are born, don’t waste time waiting until they are 6 months old. Dog parks – Dog parks are a melting pot of all different types of dogs, temperaments and of course dogs with behavioural problems too. The chances of your pup going to a dog park and turning out well balanced and socialised is terribly low. Avoid uncontrolled interactions with other unknown dogs. Play with no rules – Out of control play every time your pup meets other dogs. This teaches pups that other dogs are highly rewarding, and this will compromise your dog’s behaviour at some point. 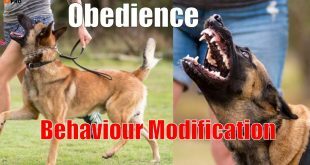 The above are very common things we see owners do that have led their dog developing behaviour problems, but of course starting with the wrong pup will make everything much harder. Breed – The breed you choose will be made up of various temperament traits, if you are a couch potato and like to stay indoors a lot, a high drive dog will be a very bad choice for you and the dog. There are online guides as to what traits breeds have, I personally suggest avoiding those, rarely do I agree with what they say. I suggest that you find a trainer and ask them what breed of dog they recommend that they can help you develop into your dream dog. Working, Hunting, Herding, Utility dogs may be going to have more energy and drive than you may need, it will not go away, it will drive the pup to seek satisfaction, so you need to satisfy this drive. There are certain breeds that are known for having a lot of drive, Working Springer Spaniels, Malinois, Dutch Shepherds for example, in these litters there will not be low drive dogs, some breeders lead you to believe there are, but is this a breeder trying to pass off the pup he or she is trying to sell? A low drive Malinois would be a very high drive Cavalier. Individual Temperament – Once a breed is chosen, you need to be aware that within a breed and a litter, there are variances. A pup that is fearful and nervous at 7 weeks is not going to naturally become confident easily. You will need to put much more work into this pup than a confident one. I have selected thousands of pups from litters for pet owners, sport dog people and Government departments because choosing the right pup can make or break the outcome. History and the breeder – Are the pups health tested, structurally X rayed, DNA tested and other health tests that are relevant to the breed? 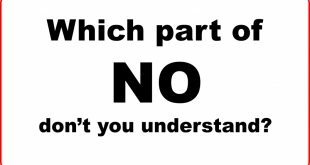 Is the breeder experienced, ethical, honest and supportive? 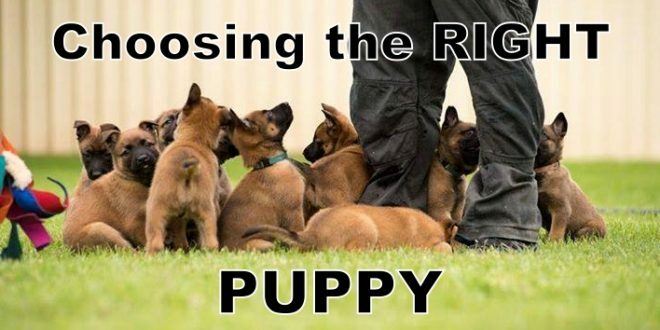 Do they work with the pups through the 8 weeks they have them, or they at their day job leaving it all to the pups dam? The above are not always deal breakers for me but they are points where I think caution should be exercised. Below is my breeding facility for both Working Belgian Malinois and Labrador Retrievers. It takes many years to be able to test a puppy at 7 weeks and know how it will develop as an adult, but here are some things I would avoid in any pup. Pups that are frightened of strangers. If you walk into the areas where the pups are and they run, hide, yelp or scream at you, I would not buy a puppy like this. The reasons for this could be that the pup has never seen a stranger, and that is not a good breeder that is imprinting the puppies well. The puppy could be a thin nerved, fearful pup and these pups develop behaviour problems very easily. Pups that are covered in their own waste. Puppies that have lived in a filthy environment will be very hard to toilet train. Don’t think if you are looking for a working dog this doesn’t matter, I have had Police officers turn up to training and when they get their dog out of the car, it has toileted and roiled in its own faeces, needing to be washed before it could be handled or worked. Pups that have never been out of the place they were bred. This might be a shed for example, but I want to see pups that have been in many environments, many climates from hot, cold, rainy and sunny. Sheltering pups from this can make your puppy very hesitant in weather other than “the shed”. Pups that are younger than 7.2 weeks of age. ANKC papered pups must remain with the breeder until they are at least 8 weeks of age. Pups are learning from litter mates and should be allowed to enjoy and benefit from this experience until they are 8 weeks of age or just under. Therefore, no singleton pups unless the owner is ready for some work. Pups that display any health issue. Pups from time to time can feel off or be sick, perhaps from vaccinations or injuries sustained during socialisation. If the pups are presented to me and I have not been told about any issues, I would assume they are all 100% healthy. If I see something wrong, I will not buy from this breeder. There are many disqualifying elements that may cause me to not select a puppy, but the above are all what I call deal breakers. There are many more from structural issues to temperament flaws. Remember I am talking about a 10 – 15-year decision here, I don’t make these lightly. I also don’t give up on dogs easy when they have behaviour problems, so I do my best to choose the right dog for myself and or clients. Once you have the right pup, how the pup is trained, raised and exposed to various environments and stimuli will then determine how the puppy will behave. That’s right, just because you have picked the right puppy does not mean that he or she will turn out perfectly. In fact the first 12 months that you own a puppy are very important times to develop your puppy into your perfect adult dog. The right breed and temperament for you won’t be too hard, but if your trying to squeeze a high drive dog into a low drive life it will be. Same goes for when you want a high drive dog but get a medium drive dog and they struggle to make the grade. Training, management, communication, rules and boundaries and reward systems should all start on the first day you bring the puppy home. There is no just letting them be a puppy in a good training program, this only allows them to learn things you probably don’t want them to and find ways to satisfy their drive that don’t include you. I believe if you do well and end up with a dog that has good social values *(see this article), good reward and communication systems and the dog is well balanced, meaning it was the right breed for your life from the start, after 14 months of age you will rarely need to train at all again unless you want to compete then it would be more polishing than training. Ok so here is your list based on what I have told you above. Think about the breeds you like and do some proper research on them. Seek out a GOOD trainer and ask their views and experience with this breed. Settle on the breed and look for breeders. Have the litter temperament tested by an independent party unless the breeder is “qualified” to do this. If the litter is not for you, don’t impulse buy because they are cute! All puppies are cute. Once a puppy is selected for you, get your home ready and get ready to start a program. This will (should) mean dog crate and puppy pen and some equipment. When puppy arrives home, start right away, no time like the present is very true here. Have goals and work to achieve them. Management is a must with puppies to help prevent them learning bad habits. Have fun, it is not all work and no play. Play with your puppy a lot. Yes we can help you with any or all of these steps, pups raised in our system are intelligent, driven, smart, deal with stress well, solid, confident and secure. Invest time BEFORE getting the puppy and then you won’t have problem dogs. If you don’t or haven’t we are hear to help you. Not all dogs will be the perfect breed, or raised or imprinted well or from awesome genetics. Perhaps hard work is what your looking for and these pups will be just what you need, there is a home for every dog and every home should have a dog. Love to hear your thoughts, comment below or feel free to share.